The purpose of this year’s Fairtrade Fortnight campaign is to invite new people to come on in to Fairtrade – so that’s what we’re doing. This is not the usual Fairtrade event! It’s aimed at footy fans first and foremost. If you’re into footy, and Fairtrade (and Glasgow based) this event is definitely for you! You are promised an evening of cut-and-thrust football debate in Glasgow’s west end to mark Fairtrade Fortnight. Our panel will take questions from the floor while trying to find out the way ahead for Scottish football. Is Alex McLeish the right man for Scotland? Is the SFA fit for purpose? How long will Brendan Rodgers be at Celtic. Are Rangers on the way back under Graeme Murty? Plus, we will examine the state of Scottish sports journalism, and the changing nature of news reporting and consumption in a digital age. 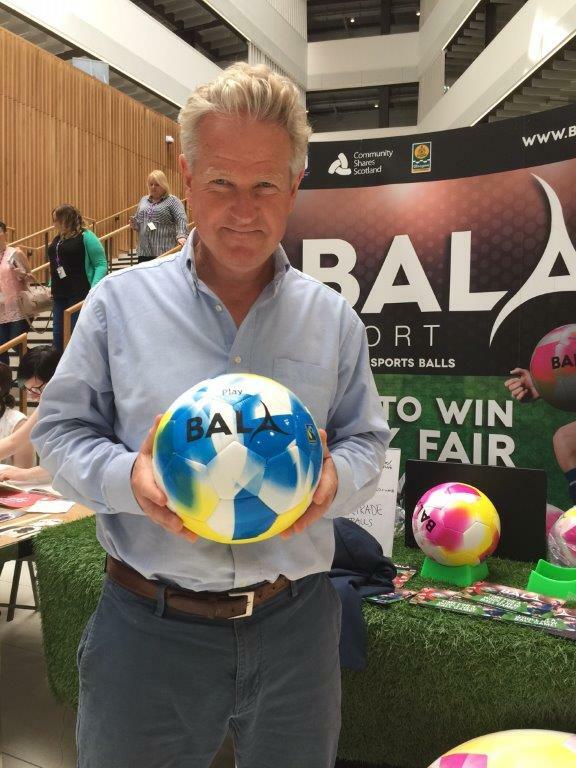 We will also ask: given the values of fairness and human integrity espoused by Fairtrade, could Scottish football on any level make the Fairtrade Bala football its official ball of use in competitions? Come along, get engaged, take on the panel, let’s get some answers! The event is being held in association with Oran Mor (a great venue for this type of event, right in the heart of the West End and with bar), and football journalist and pundit Graham Spiers, who will chair the event. Graham is a keen supporter of Fairtrade and the event was his idea. We are very grateful for his support. We’d also like to thank Hugh Keevins, Kevin McKenna and Jonny McFarlane for giving up their time too. Please join us and help #ChangeTheGame! Tickets £5 (+booking fee) Buy them here on TicketWeb.